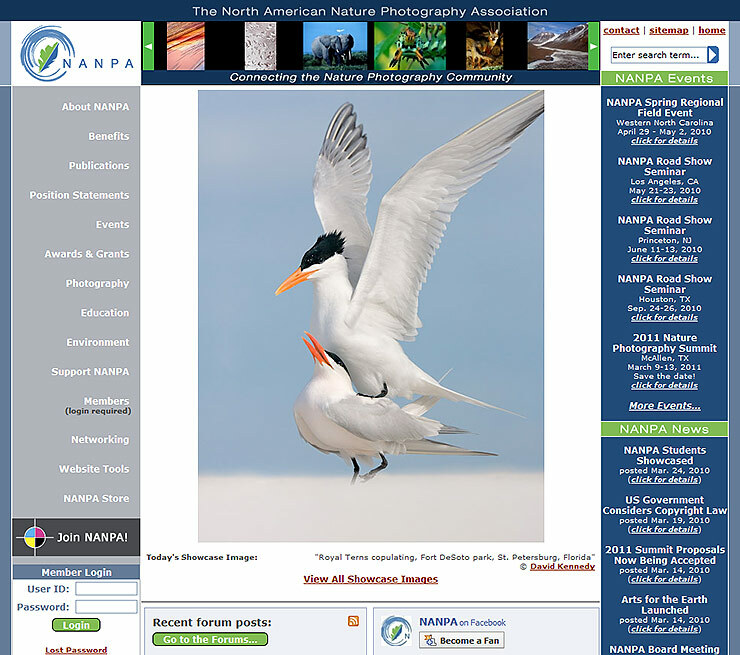 Today, I received an e-mail from the North American Nature Photography Association, that my image, “Royal Terns Copulating,” would appear on the front of their Web site today as a part of their annual member’s showcase. You can see it–today only–on their front page at www.nanpa.org. Rock on, nice image and congrats!